When disposing sharps waste materials, a proper disposal container is a must! This helps reduce the risk of injuries because of needle sticks and other sharp medical objects. GIC offers a wide assortment of sharps waste disposal containers ranging from 1.5L to 100L, and even larger sizes. Our containers are eco-friendly. Whatever suits your needs, we will deliver it to you! GIC’s main concern is the safety and protection of our clients and the environment. We assure you that our products and services are completely eco-friendly. 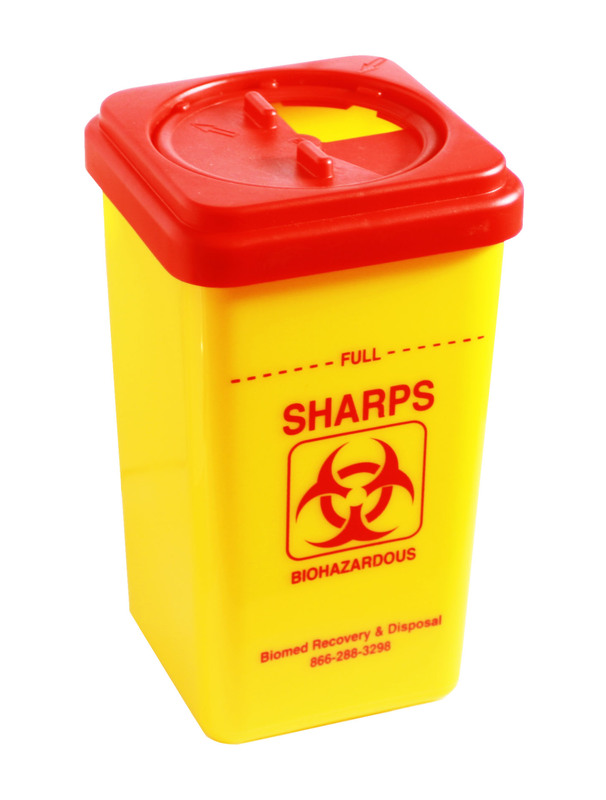 We also make sure that our sharps waste containers have minimal effects on the environment. These containers use a state-of-the-art robotic machine to empty out the contents then proceed with sterilization. We transport and package the contents of the sharps waste container according to the Environmental Protection Act and Regulation 347 of the Ministry of Environment. In some cases that our customers has inadvertently overlooked the HWIN standards for proper sharps packaging, don’t worry! GIC will help you repackage these containers free of charge. We will deliver reliable services to our customers in a timely manner. Our priority is to ensure that your business and operation hours will not be interrupted during medical waste pick-up. GIC also employs a real-time tracking method when we pick up your sharps waste containers. This ensures that your sharps waste has reached its disposal destination in a secure manner. With our customized solutions, we will provide you high-standard services that will suit your budget and needs.